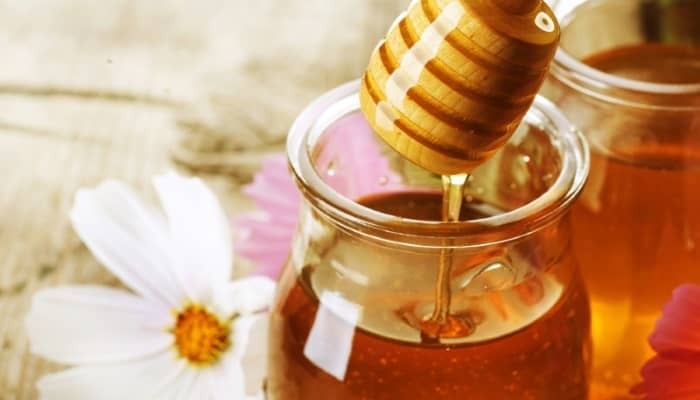 Just how many natural skincare treatments involve the use of honey? It’s found in many of the most popular face mask recipes. And washing your face with it has become all the rage with natural beauty enthusiasts in recent times. The truth is that there are few ingredients that combine its remarkable range of properties. It moisturizes and exfoliates to leave your skin looking soft and fresh. And it’s become famous for its ability to fight acne infections and soothe inflammation. But, there are many different types of honey. And not just any honey will do. 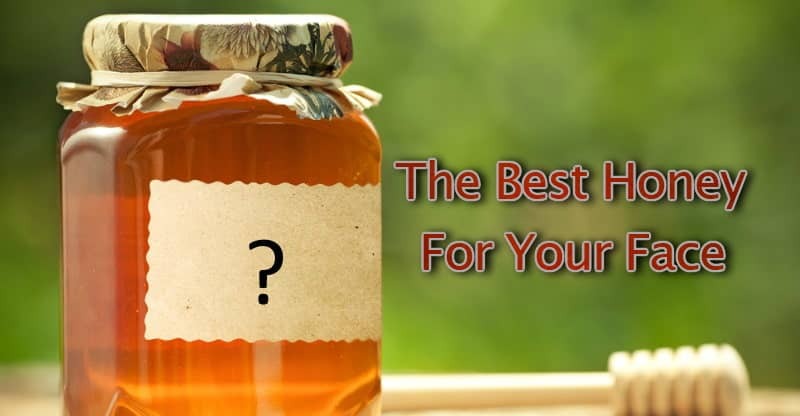 You see, there are important things to look for when choosing a honey that will give you the best results. And some types are better for skincare than others. In this guide, we’ll explain the essential criteria you need to know to the pick the best honey for skin. And we’ll show you our favorite types and brands. You can find the full selection of brands below the buying guide. If you’ve been looking around already, you’ll know that there’s a huge variety of honey available. And while they all share a lot in common, there are some important differences to be aware of. You need to get an organic, unpasteurized, raw honey. The truth is, that a lot of the common table honey that you can find in the store has been heavily processed and heated during the pasteurization process. And although it may be cheaper to buy, it won’t do much good for your skin. Why? Because it results in a ‘dead’ honey that no longer contains many of the important antioxidants, enzymes, and vitamins that make raw honey healthy to use (1). Organic honey also contains higher levels of these beneficial nutrients in comparison with inorganic. Organic, raw honey is best for skin care because it contains beneficial antioxidants, enzymes, and vitamins. Honey comes in a number of different shades, depending on the type. The basic rule of thumb is that the darker it is the higher the level of antioxidants it contains. And the more protective anti-aging benefits for your skin it provides. When using it on your face it’s best to select one that’s dark. Dark honey is rich in protective antioxidants and is the best choice for skin care. There are many different varieties available from a wide range of sources. Bees create honey after gathering nectar from the flowers in the region in which they live. And this gives rise to its description based on the type of flowers that they are pollinating. There are over 300 different kinds that you can buy in the US. Each originating from a different floral source. And many of these can produce good results on your skin. Some common types that you will find available include wildflower, buckwheat, sage, thyme, clover, wild forest, and manuka. Manuka is worth a special mention because it’s widely regarded as the number one honey to use for skin care. It’s produced by bees in New Zealand that pollinate the manuka tree. A lot of scientific studies have been conducted using manuka honey and it’s known to have very high levels of antibacterial activity and proven healing powers. Real manuka honey is tested for the presence of unique biological compounds that only occur in manuka and is graded with a number that represents its strength. It can be identified by the UMF (Unique Manuka Factor) trademark that is used on the front of the jar. Many brands don’t have a UMF number and instead use alternative rating systems such as ‘active’ that can be confusing for the consumer because the grading system looks the same as UMF. But it’s not, and it doesn’t mean the same thing. The only way to be sure that what you are buying is real manuka honey, and not a blend of different types, is to buy one that’s using the UMF trademark which confirms its authenticity. Because of its impressive antibacterial level, it’s the top-rated honey to use for acne. Manuka with a UMF of 15+ or greater is most likely to give you the results that you’re looking for. Buckwheat is a dark honey that is very rich in antioxidants. In one scientific study that looked at the antioxidants in a number of different types of USA honey, buckwheat was found to have the greatest level of activity (2). This means that it can provide a good amount of anti-aging protection to your skin. It also has a high level of antibacterial action (3), making it a reasonable second choice to manuka for the treatment of acne. Many people love the taste of orange blossom honey. To make it, bees gather the nectar from the flowers of orange blossoms on orange trees. This gives it a light fruity citrus taste. But it’s also good to use on your skin. Scientific studies have shown that it’s high in antioxidant activity. It contains flavonoids that are found in citrus fruits and not usually found in other kinds of honey (4). Which also give it anti-inflammatory properties. And in another study that looked at 14 different types of monofloral honey, orange blossom showed one of the strongest antibacterial results due to its good phenolic content (5). This means that it could potentially be useful for killing bacteria on the skin and treating acne. Raw clover honey doesn’t usually have as large an amount of antioxidants as manuka, buckwheat, or orange blossom. But this is a dark honey which will still provide antioxidants to your skin. Before making a choice it’s worth reflecting on what you are looking to get out of using it. Manuka has a big reputation for being the best to use for skin conditions. But it’s also at the more expensive end of the market. If you are just looking for some of the beauty benefits, such as the fresh, smooth skin that its moisturizing and exfoliating properties can help to create, then you could make a more economical choice. There are other kinds that can help you with that. Such as buckwheat, which is also full of antioxidants. Different kinds of honey can be useful for basic skin care, providing moisturizing and exfoliating properties. But, if you are looking for the highest antibacterial activity to help in treating acne then manuka is the best. Steens is a manuka honey brand that is well known for the highest quality of its products. This certified UMF 15+ raw honey has a very high level of antibacterial activity, which makes it ideal for people who are suffering from skin complaints such as acne. It’s carefully extracted and handled to retain all the antioxidants and antibacterial agents that this healthy honey contains. This certified UMF 15+ manuka honey from Tahi is completely raw, organic, and eco-friendly. It’s produced by bees located in isolated manuka forests in New Zealand where the environment is free from pesticides, pollutants, and any other chemicals. This UMF 15+ rating shows that it’s strongly antibacterial, which is very useful if your skin suffers from acne outbreaks and pimples. It’s not as strong as the UMF 20+ by Steens above, but this is still a very high-quality honey with a lot of benefits for skin care. This one comes in a large 5 lb container and is made in the USA. Stakich is a brand with a strong reputation for quality. There isn’t a lot of this honey on the market these days compared to some other types, as buckwheat is being planted less often as a crop. But, it’s a type that’s really good for you. Raw buckwheat is dark and is known to have a very high level of antioxidants. This helps to protect the skin from free radical damage and aging. Powerful antibacterial action, so a possible ‘second best’ alternative to manuka for acne treatment. Every care is taken to ensure that all of the enzymes, vitamins, antioxidants, and antibacterial agents remain. This sweet raw honey is locally sourced from beekeepers who operate in Florida’s orange groves. It’s unpasteurized and produced in organic conditions. This clover blossom honey from GloryBee is sourced from remote locations around the world which meet the required standard for organic certification. Because of the benefits that honey has when applied to the face, it’s become one of the most popular natural skincare ingredients. Exfoliation – It contains organic acids that slowly remove dead skin when you apply it daily. It can reduce the appearance of lines, and make your skin look smooth and fresh. Moisturizing – Honey is a humectant that binds moisture and provides a barrier that prevents its loss from the skin, even after it’s rinsed off. This makes it great for dry skin. Anti-aging – Not only does the exfoliation make your skin look fresh, but honey also contains many antioxidants that can protect your skin from free radical damage. Soothing – It has anti-inflammatory properties that can soothe irritated and inflamed skin. Acne – It has antibacterial properties that can help to kill the acne bacteria and get rid of the condition. Rosacea – Some people find that using it regularly can reduce the unpleasant red rash. Dermatitis – Recent evidence suggests that it could help to alleviate the dry and itchy skin of dermatitis and eczema. Honey can be used on its own as a face wash, face mask, or facial scrub. It can also be combined with other useful ingredients for natural skin care. Honey has a number of beauty benefits when applied to the face. It can moisturize and exfoliate the skin, protect it from free radical damage, and help with the treatment of acne and other skin conditions. Some people use it as part of their cleansing routine. It’s great for oily skin and gentle enough for people with sensitive skin. And it naturally keeps your complexion looking clear and fresh. Making the right choice for your skincare needs means paying close attention to the product that you buy. Make sure that it’s raw and still full of the goodness that it had in the beehive. Some specific types have particularly desirable properties. Such as manuka with its amazing antibacterial activity. And buckwheat with its scientifically demonstrated levels of antioxidants. So you should think about exactly what improvements to your skin you are looking for before making a choice. Manuka is regarded as the top-rated honey for skin care because it’s effective for anti-aging and beauty purposes, as well as fighting acne and other skin conditions.